A new audiometric booth has been installed in a hospital in Paris. 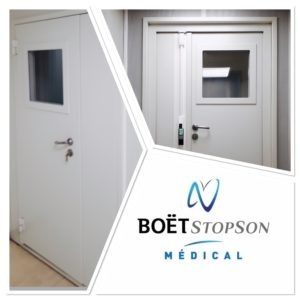 As part of a major £ 280m investmnet by AP-HP in the restructuring & modernisation of the Lariboisere hospital, Boet-Stopson were consulted for the design, supply & installation of an audiometric booth for ENT service. In co-operation with doctors, health managers & biomedical services we have developed a technical solution to meet the specification for this project. Thanks to a modular design, the integration of high performance acoustic panels & the installation of an anti-vibration stud floor system, the installed booth allows users to benefit from a background noise level of less than 35dB & a reverberation time close to 0.15 seconds at 500 Hz. Our ability to develop tailor-made solutions has enabled us to win this project & to perfectly satisfy the requirements of the customer.